Last week’s article unveiled striking facts that show how companies are losing Billions by not going solar. From automotive to agriculture and everything in between, many industries can improve their Net Income by double digits — some as high as 73% — by going solar. While the return that solar can create is clear, like any other investment it comes with risk. And since solar is a long-term investment, with rooftop systems lasting for 20+ years, it’s critical that companies take the necessary steps to protect their solar assets. As the old adage goes, you get what you pay for. 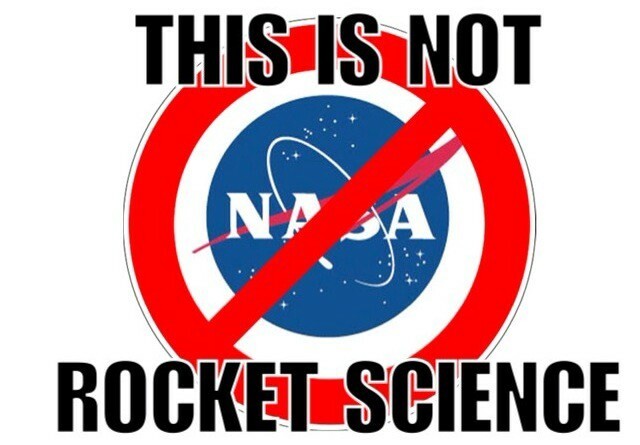 This is especially true when choosing solar technology. There are two key components in a solar energy system: the panel, which creates electricity from sunlight, and the inverter, which converts the electricity from the panel to make it compatible with the grid. While most people focus on the quality of the panel that goes into a solar energy system, it’s actually the inverter that causes most of the issues. According to a study by SunEdison, the world’s largest renewable energy developer, inverters account for 43% of support calls and 36% of total energy lost in a system. 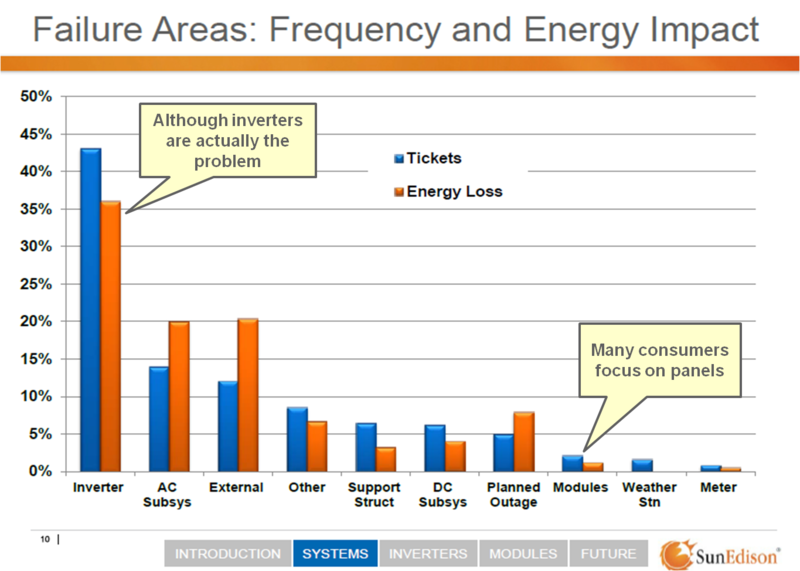 Source: Graph from “PV System Reliability — An owner’s perspective” SunEdison 2012. Commentary in boxes is my own. While inverters are a problem area, it’s important to note that not all inverters are alike. There are two types of inverter technologies — string inverters, which convert energy at the subsystem-level (appx. 1 per 100 panels), and microinverters, which convert energy at the panel-level (1 per panel) — that have drastically different reliability profiles. 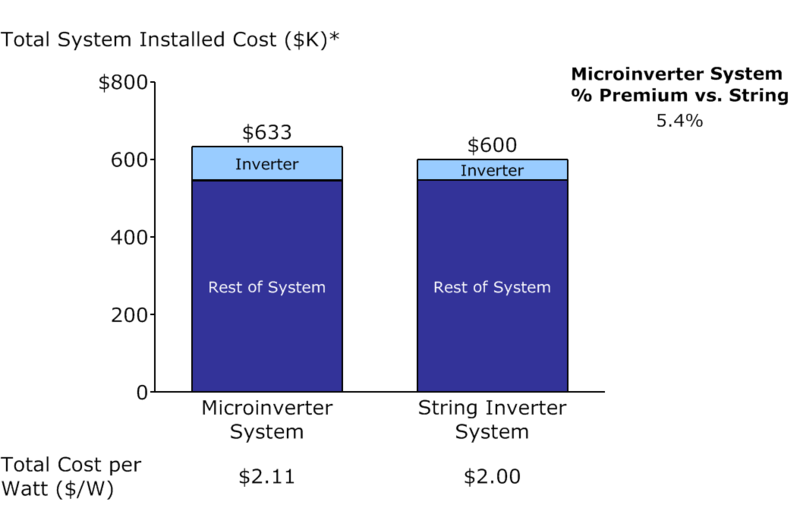 Based on independent, 3rd party validated data from the the U.S. Department of Energy’s National Renewable Energy Laboratory (NREL) Solar Access to Public Capital Working Group and DNV GL, one of the largest and most well respected global independent engineering firms, string inverters have a 16x higher failure rate than microinverters. Further, because each string inverter is attached to 100x more panels, each string inverter failure results in 100x more energy loss to the system. With such a stark difference in reliability, why would anyone use string inverters? The answer is an over-emphasis on up-front cost. In an average 300kW installation, microinverter systems have a 5% higher up-front cost than string inverters systems, and therefore string inverters can be chosen as a less expensive alternative. However, this choice is penny-wise and pound foolish: the incremental costs of servicing and replacing the entire set of string inverters — which will be required given the failure rates above —add up to $77K over the life of a commercial system ($41K in parts + $36K in labor). Said another way, by skimping on $33K of costs up-front, you pay more than double that amount over time. Plus, you have to deal with the hassle of perpetually replacing failed string inverters, which forces you to devote additional time and effort to managing an asset that is not part of your core business. So the next time someone pitches you solar, don’t get hooked on the lowest up-front price. Instead, evaluate the total cost of ownership when investing in your 20+ year solar asset. It goes without saying, but the projected savings from a solar energy system are only as accurate as the assumptions they’re based on. There are two important assumptions that dramatically affect your actual savings, but are often overlooked. Utility electricity price growth. Since solar savings come from avoiding utility electricity payments, and these savings accrue over 20+ years, the assumption of how much your utility electricity rate will grow has a major effect on the projected savings from solar. Said another way, the more you believe you’ll pay the utility, the more you’ll save by switching to solar. How much more? Well, a 1% difference in utility electricity price growth (for example, assuming that utility prices grow at 1.5% per year instead of 2.5% per year) translates to a $160K difference in savings from solar. Key Assumptions: 300kW DC system, 20 year system life, $0.15/kWh electricity price growing at 1.5% or 2.5%, string inverter system produces 1550 kWh per kW of capacity, microinverter system produces 1643 kWh per kW of capacity. 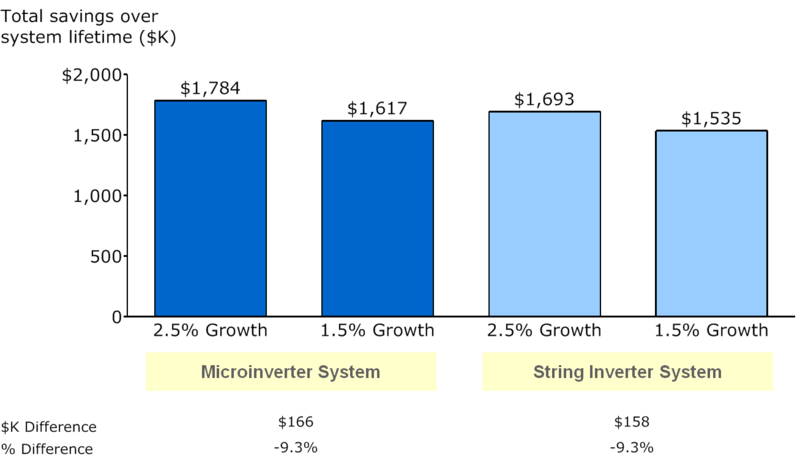 Difference in string inverter vs. microinverter production due to reliability and module mismatch. Since the PPA escalator increases the rate that you pay over time, the faster the PPA price escalates, the lower your savings will be. Based on the example system above, a 1% increase in PPA escalator will decrease your savings about $160K. The double-whammy: While the effects of utility price growth and PPA escalators are large on their own, it’s important to note that these losses can easily be compounded. For example, if you overestimate utility electricity price growth by 1% AND agree to a PPA escalator that’s 1% higher, you have given away $320K in savings over the life of the system. That’s a lot of money to lose from not reading the fine print. This point is self-evident, but many people forget to shop around. A good friend from college recently (i.e. : on Friday afternoon) reached out because he was close to signing a solar loan offer and wanted my advice (little did he know that he’d become an apt and timely example on my blog!). I told him to get 2–3 more offers before agreeing to anything. With one phone call, he got a loan proposal from another company that had very different terms on literally every key metric —cost, system size and energy offset, loan term and interest rate. Although the first two proposals he received were for loans, there are additional financing options —including PPA, lease and cash — that he can also explore. Regardless of what my friend chooses, the underlying logic holds. By nearly signing the first offer (mostly because it was compelling and came his way), he could have foreclosed other options that could better fit his financial needs…or just be flat out better deals. By looking at total cost of ownership, reading the fine print, and evaluating multiple offers, you’ll avoid some of the most common and costly pitfalls that business make when going solar. A few themes I’m considering for next week: how solar is weathering the global oil price storm, the real economics of energy storage, how solar is transforming schools and classrooms globally. Let me know which one you like best (or suggest another) on Twitter @bko06 and I’ll write about whatever gets the most mentions. Did you like this post? If so, I’d greatly appreciate if you could recommend it. Want updates when I post again? Just follow me on Medium. Principal @enphase // Alum @Brown @Wharton @Bain // twitter @bko06. Views expressed are solely my own.